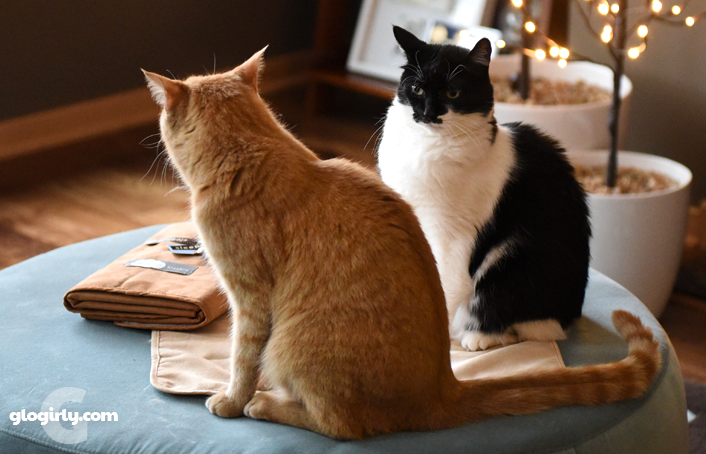 Some of our most favorite photos are of Katie and Waffles having their conversations – because they really DO seem to communicate with each other. 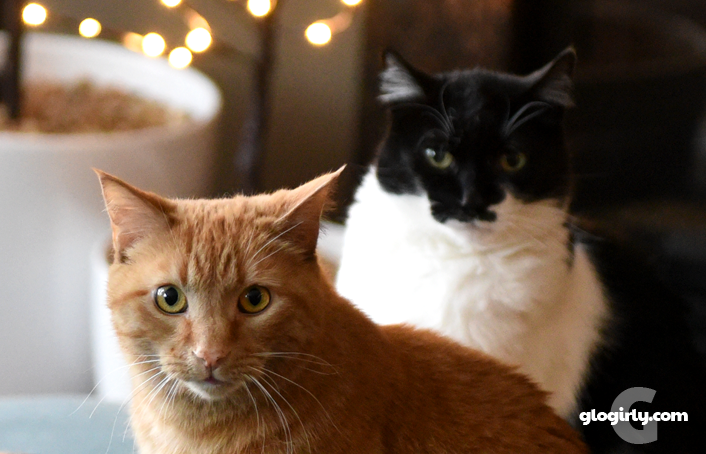 Just as the photos suggest, it's typically Waffles who starts up the conversation and then Katie who puts him in his place. Katie says so much with just one intense look. Ya should tell her ya want chikken. 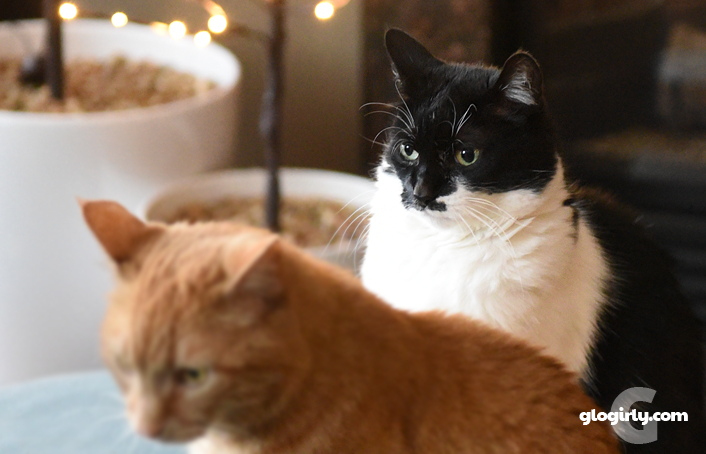 My human has a video of Sparkle and Binga... not a meow passed between them, but it was so clear that they were having a conversation (and it was probably about my human!). Yes it looks like they are having conversationsome and it looks like Katie is ever so not interested in them. She might need some help Waffles. You two are so funny!!! Dear Waffles, you have to give her the time she needs. I'm sure she will surprise you with the best gift ever!!!!! Do either of you guys need help picking out MY present? You two do have interesting conversations. Erm ... Waffles, Katie might be more receptive to your conversations if you weren't all up in her grill all the time. Give the girl a little space. Me thinks Katie knows exactly what she wants to give Waffles for Christmas. She want to give him.....AWAY! We love how Waffles always has at least one ear pointed toward Katie no matter which way he is facing! Oh Waffles looks hopeful but may be disappointed - right? We love how you keep trying, Waffles!